I live in a household where the name Picasso often crops up - my partner has always been a huge fan of Picasso's work ever since he was a little boy. He grew up learning about Picasso as his father was a potter. 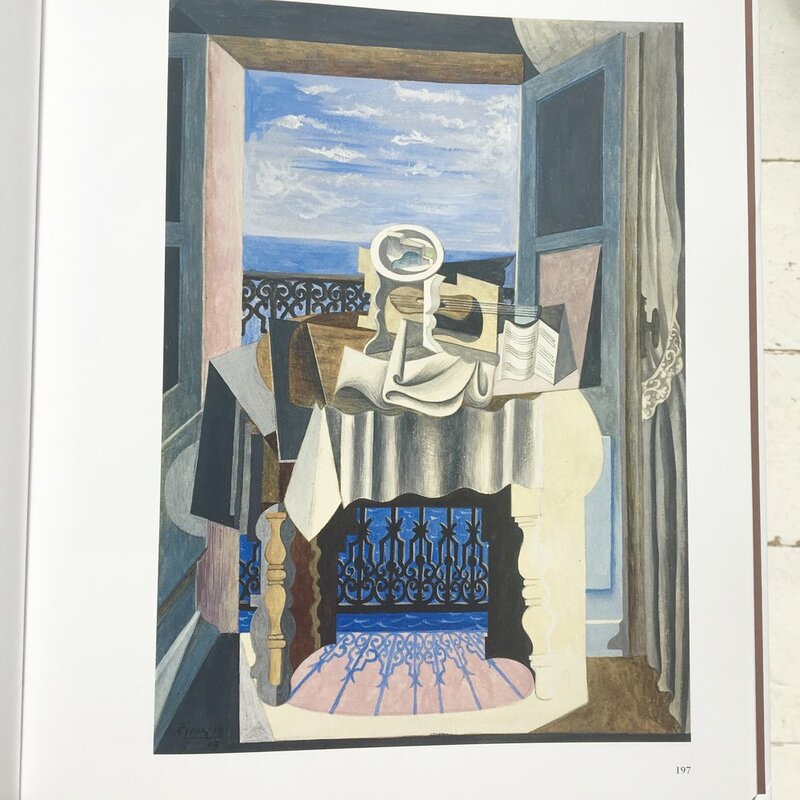 I'm thrilled to have been given this new book to review - I'm also a fan of Picasso, not necessarily because I like all his work but because I find his whole life fascinating. He ventured into many genres and was incredibly prolific, even right up until he died. He was a man who exuded creativity, which is incredibly inspiring. 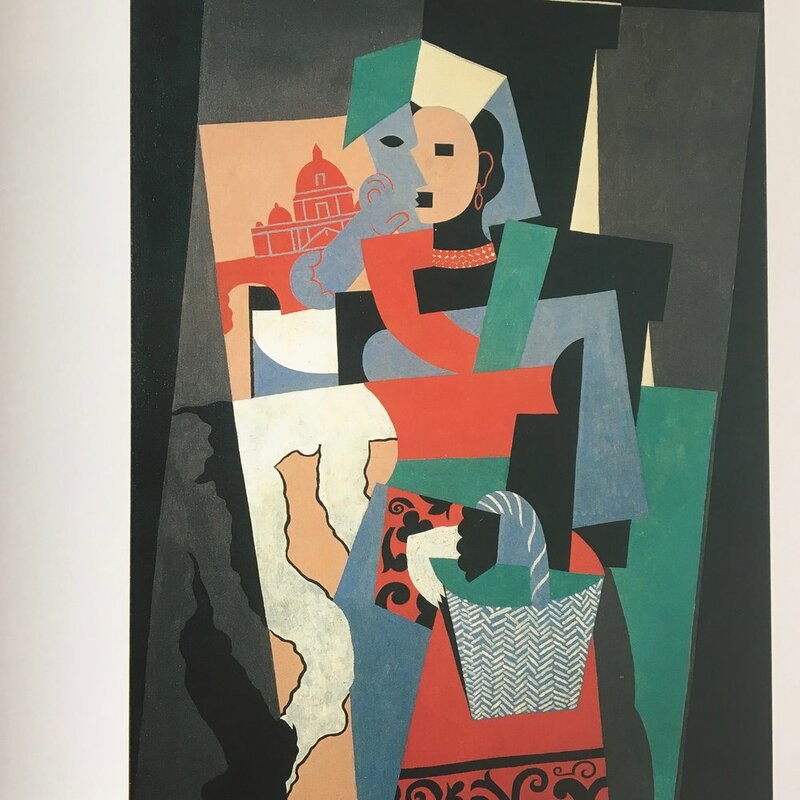 This new book 'Pablo Picasso - Between Cubism and Classicism 1915 - 1925' published by Skira and edited by Olivier Berggruen is a huge weighty coffee table book that exudes quality. Not only is the cover beautiful but the book contains 100 colour and 60 black and white illustrations. Picasso experimented with different styles and designed costumes and scenery for ballets, including the ballet Parade with music by Erik Satie. It was during his collaborations with the theatre that Picasso met the Russian dancer Olga who he married and had his son Paul. 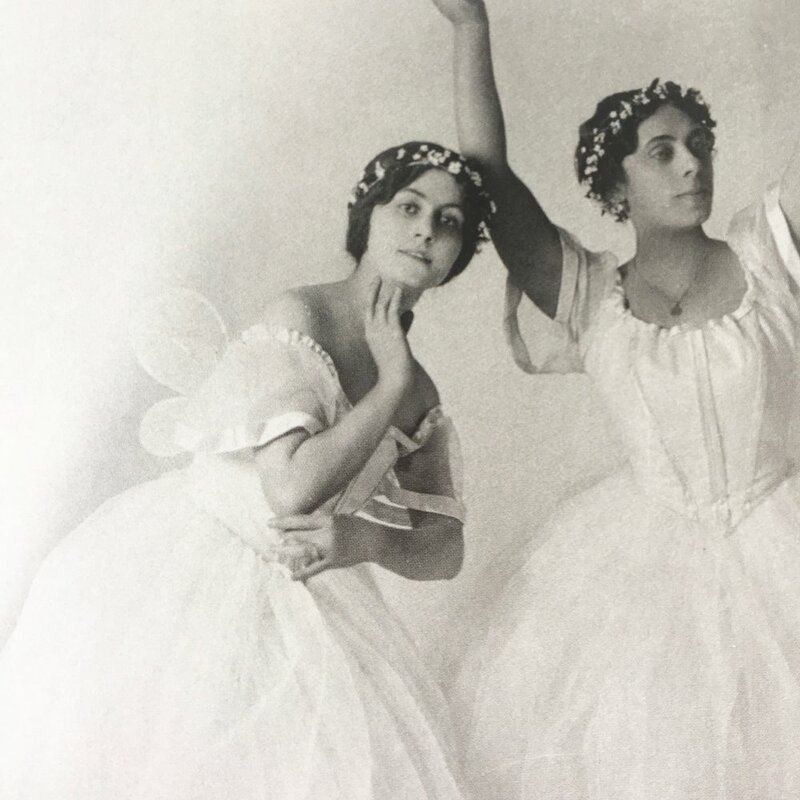 She was only 26 when they met and had been dancing with the ballet Russes since 1911. Below are some of my favourite illustrations from the book. Sketch for the acrobat's costume for the ballet Parade in 1916, Olga Khokhlova and Lydia Lopokova Les Sylphides 1916, Still life by a window 1919, Head of a woman 1921, Two dancers 1922, Olga Picasso 1922,The Pipes of Pan 1923, Three dancers 1925. 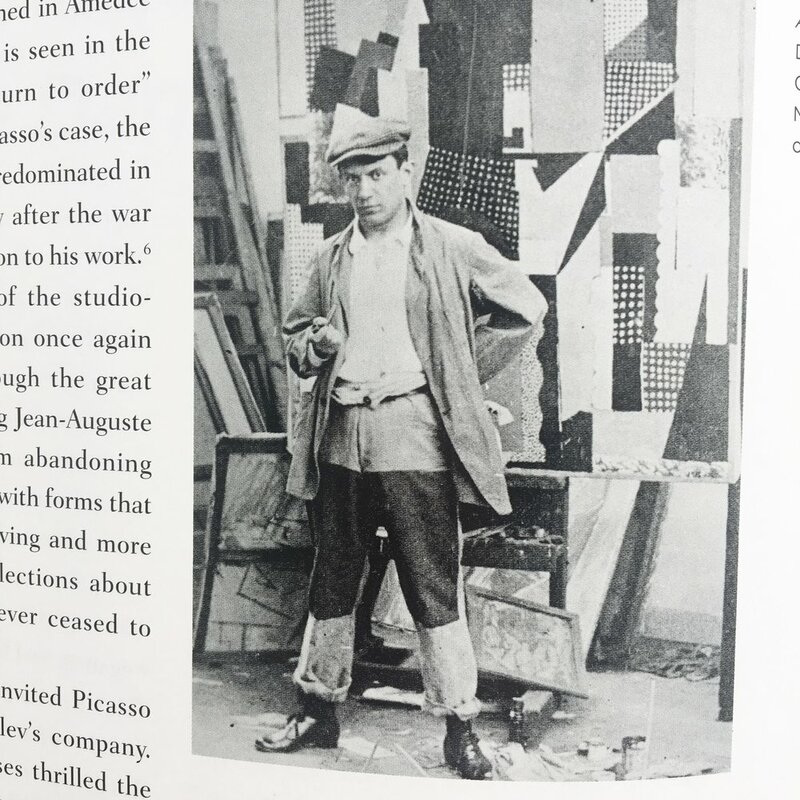 Not only does this book contain wonderful photos of Picasso's work, it also contains lots of photos of Picasso and his colleagues and postcards and hand written letters and notes. It's a wonderful book to read or dip into. 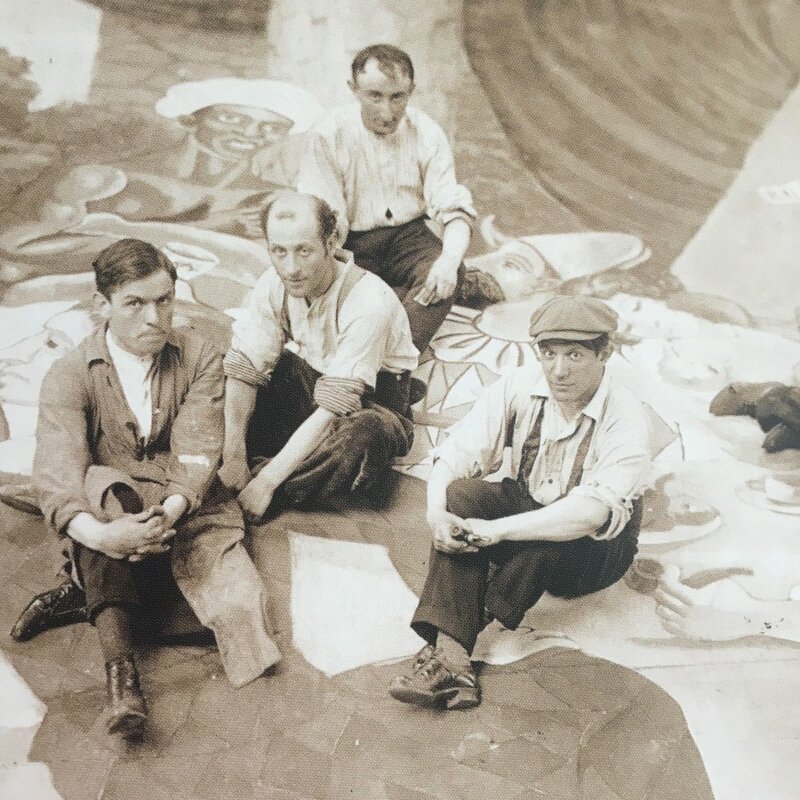 I really enjoyed looking at all the visuals and am so pleased to have had a peep behind the scenes in greater detail of Picasso's years spent in Italy at a very exciting progressive time in history for not only ballet and dance, but music, set design and costumes. Such a special book indeed. Olivier Berggruen is an expert in Impressionism and Modernism and the Associate Curator of the Shirn Kunsthalle in Frankfurt, Germany.